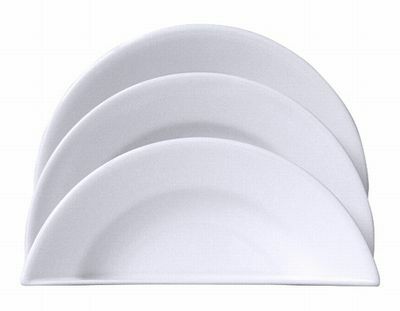 A set of three dishes, large, medium and small. You can put them endways separately when dry them up, requiring small spaces in your kitchen. Also easy to store as they can be stacked.